The Management of Health & Safety at Work Regulations 1998 require employers to carry out ‘Risk Assessment’. To carry out effective risk assessment, knowledge and expertise are required. This course gives guidance and information to enable delegates to carry out a logical and effective assessments. 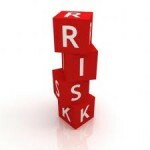 Good risk assessments can assist in the prevention of injuries, property damage incidents and other losses. This not only helps to prevent human loss and suffering but also assists the effective management and finance of any business. Apart from the corporate and personal benefits arising from assessment, employers and the self employed have a legal duty to make suitable and sufficient assessments of the risks to the health and safety of employees, non-employees and the self employed. The Risk Assessment course is designed for anyone with a responsibility to conduct risk assessments. Employers need to ensure that individuals carrying out risk assessments are competent to do so. Competency does not necessarily require particular qualifications but involves a combination of knowledge, experience, skills and personal qualities. Assessors must have an understanding of the workplace and work activities, knowledge of the best practicable means to reduce risks and an ability to make informed judgements. Contribute to the risk assessment programmes at their workplaces. Organise and implement a risk assessment programme. Participate in the identification of specific training needs for the activities being assessed. Assist employers in meeting legal requirements and promote improved standards of health and safety within their organisation. Purpose for and benefits of assessments. Principles of assessment and stages involved in carrying out risk assessment in practice. State the key legislative requirements. Carry out, record, monitor and review assessments within their own working environment, (subject to possession of the necessary technical knowledge and skills). Additionally, trainees will be able to realise the limitations of their knowledge and experience and will be aware of where to seek further information, guidance and assistance. Course length: 6 -7 hours. Qualification achieved: Risk Assessment Certificate. Courses can be run in house or at our training centres in Lincoln and Grimsby. We also run open courses regularly for individuals or businesses needing to train single employees. Click here to download risk assessment syllabus.